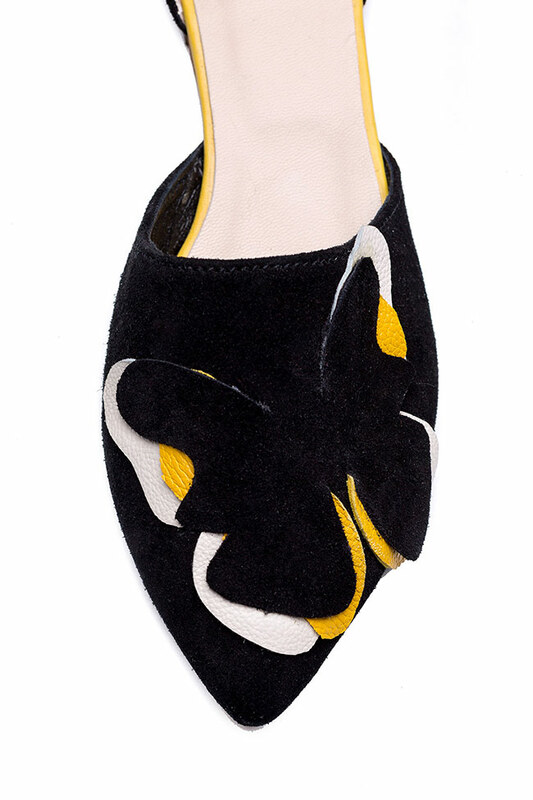 Giuka's flats have been made from soft suede. This point-toe pair has a 3D embellished butterfly and is trimmed with leather ties that beautifully wrap around your ankle. Showcase them with skirts or cropped denim.